Doom Over London 2016 will take place at The Dome, Boston Music Room, Aces & Eigh in London, UK on March 25-27, 2016. 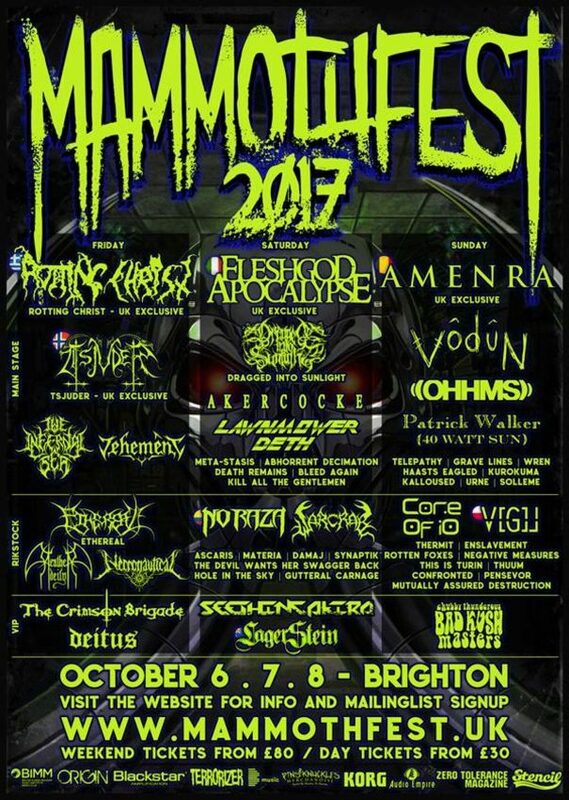 Moonspell, In The Woods and Impaled Nazarene are among the bands that will perform at the Doom Over London 2016 festival. Hammer of Doom 2015 will take place at Posthalle in Würzburg, Germany on November 20-21, 2015. Pentagram, My Dying Bride and Candlemass are among the bands that will perform at the Hammer of Doom 2015 festival. Doomshine, Mourning Beloveth and Argus are among the bands that will perform at the Doom Shall Rise festival held at the Chapel in Göppingen, Germany on April 9-10, 2010.